Hello! And welcome to my information page. 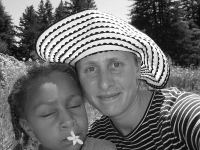 I am a flutist and music teacher residing in Santa Cruz, California with my daughter. Originally I come from Germany. I make a living as freelance musician and music instructor in the San Francisco Bay Area. My credentials include a Master of Arts and a Bachelor of Arts degree in Music from UC Santa Cruz and Cornell University respectively, and I have twice taken part in the American Bach Soloist's Academy. I play modern (silver) flute, as well as (wooden, single or keyless) baroque and renaissance flutes. My performance and research interests have been focused on historical performance practice. But I also have an ongoing interests in music from other parts of the world. For my MA thesis and recital I presented a comparative study of improvisation practices on the transverse flute in different musical cultures. As performer on historic and modern flutes I have played with the Albany Consort, the California Bach Society, Jubilate, New Music Works, the San Jose Symphonic Choir, the SC Baroque Festival, SC Chamber Players, the Southern Oregon Repertory Singers, and in chamber ensembles. 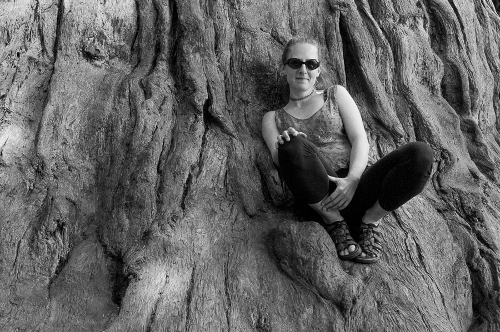 In 2012 I co-founded the ensemble and concert series Driftwood Consort. 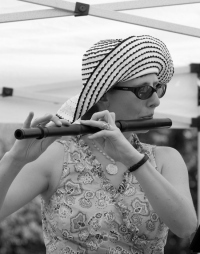 As a music teacher I instruct private lessons on silver flute and recorder, and have also taught beginning band and flute classes in public schools, as well as college-level musicianship labs. Currently I teach music in grades 3-9 at the German International School of Silicon Valley in Mountain View. I teach private students of a wide range of ages and levels and truly enjoy teaching music! Location: Santa Cruz. I teach at my home (Santa Cruz), but make house-calls depending on schedule and location compatibility. Rates for Santa Cruz (housecall/studio): Please inquire. There is a per-student discount for small groups of 2 or more. Availability: I am currently not accepting new students. Feel free to check back at a later time, or contact me for a recommendation. Thanks for visiting. Here is how you can reach me. • April: Baroque flute, with the Fantastic Five Flutes, performing music by Haydn and Boismortier. Rhythmix Cultural Works, Alameda, CA (April 1), and Santa Cruz Baroque Festival, Santa Cruz, CA (April 3). • February 1: Baroque flute, with Lars Johannesson and Jonathan Salzedo (harpsichord), for a joint fundraiser by the Santa Cruz Baroque Festival and the Santa Cruz Art League. • February 5 (8pm): Baroque flute, with the Fantastic Five Flutes, performing music by Haydn and Boismortier. Rhythmix Cultural Works, Alameda, CA. • February 21: Baroque flute, with Driftwood Consort for Westminster Early Music Series. Westminster Presbyterian Church (1100 Shasta Avenue), San Jose. • March 8: Modern flute, with the Paris String Quartet, performing excerpts of Monteverdi's Orfeo, and music by Purcell. Mount Calvary Lutheran Church, Soquel. • May 10: Baroque flute and recorder, with Albany Consort, for the Handel Opera Project. 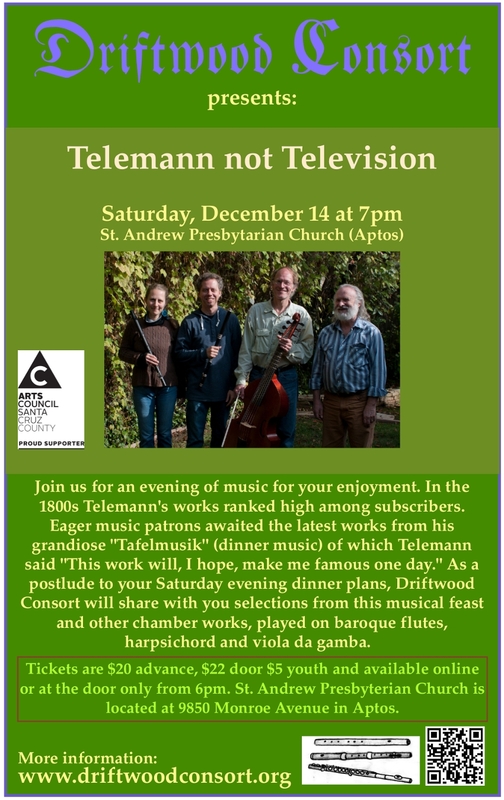 Music by Scarlatti, Handel, C.Ph.E. Bach and others for voices and chamber orchestra. Christian Science Organization, Berkeley, CA. • April 13 (4pm): Baroque flute, in Bach, St. John Passion, with the First Lutheran Church Choir (Katherine McKee, director). First Lutheran Church, Palo Alto. 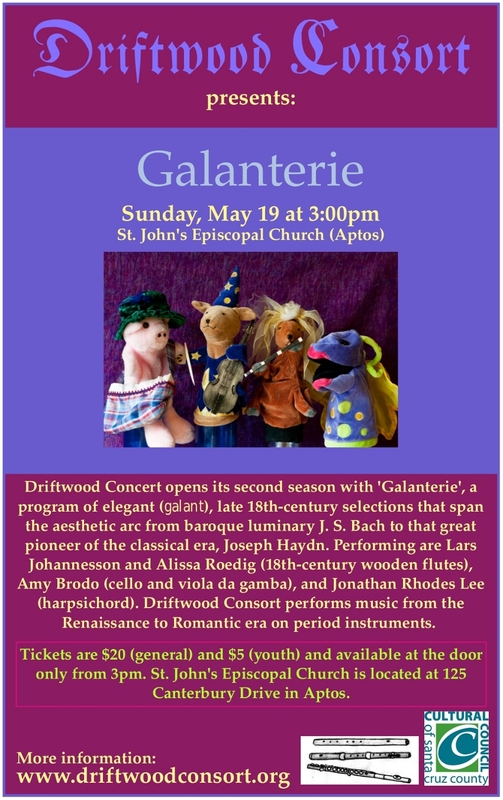 • April 19 (7pm): Renaissance flute, in "Byrds, Bulls & Gibbons," with Driftwood Consort for Westminster Early Music Series. Westminster Presbyterian Church (1100 Shasta Avenue), San Jose. • May 3 (8pm) & 4 (4pm): Baroque flute, with the San Francisco Choral Society, in J.S. Bach, Mass in B Minor. Calvary Presbyterian Church, San Francisco. • May 10 (7:30pm): Baroque flute, with flute, recorder and continuo, in "Wind Power: Virtuoso Music for Baroque Flutes", presented by the Santa Cruz Baroque Festival. UCSC Music Center Recital Hall, Santa Cruz. Coming up in 2015 (TBA): Radio Broadcast of live concert recording, on KUSP FM. • May 16-18: Baroque flute, for St. Matthew Passion with Southern Oregon Repertory Singers. Ashland, OR. • June 5: Baroque flute, with Albany Consort, as part of the Berkeley Early Music Festival's Fringe Series. • July 13-20: Baroque flute, with the American Bach Soloists Academy, for J.S. Bach, Mass in B Minor (July 13 & 20) and Academy in Action I-II (July 14-16), San Francisco Conservatory of Music. • October 17-19: Baroque flute, with the California Bach Society, in Splendor at Versailles. San Francisco, Palo Alto & Berkeley. • November 22: Modern flute, with Amy Kyung Min Lee (soprano), and Marie-Louise Catsalis (piano), featuring a voice recital with works by Byung Dong Baek, Franz Schubert, spirituals, and more. Campbell Recital Hall, Stanford, CA. • December 2: Modern flute, for GISSV Goes Baroque, featuring faculty and student performers of the GISSV's music program. Toyon Hall, Stanford. • December 14: Winter Student Recital (flute & recorder students). Pacific Cultural Center, Santa Cruz.